What do you really do at camp? It’s not being a counselor; it’s leading and supervising a team of 12 enthusiastic individuals. It’s not running an activity; it’s implementing skill-based curriculum that’s tailored to the specific needs of the campers. 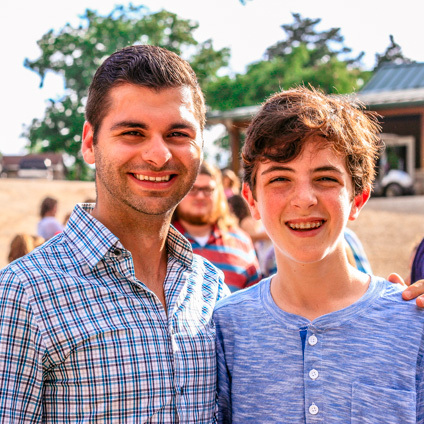 You are an incredible counselor and can speak with intense passion about camp to our friends and families. However, we fail to adequately describe the camping experience and translate the skills we acquire to those who are not as well acquainted with the camping world. Hopefully, this resource helps. It’s a way to translate the skills you have acquired and the job requirements of working at a sleepaway camp to a business world when crafting resumes, cover letters and more. Leadership – modeled character and good behavior for campers including teamwork, listening, responsibility, initiative, and sportsmanship; motivated campers to develop new skills; supported campers in their efforts to try new activities and resolve conflicts. Management and Supervision – accepted 24-hour responsibility for managing daily activities of diverse group of twelve 10-year old campers; supervised personal interaction and skills development both on and off campus; assisted Leadership Staff with scheduling. Problem Solving and Conflict Resolution – practiced active listening and counseling skills by helping campers learn to live together; developed solutions for camper conflicts; taught campers how to work together to resolve problems themselves. Teamwork – cooperated with other counselors in my unit/area and within camp to create and implement group activities and special programs; taught teamwork to campers as a skill for group achievement. Program Development – created program to help campers manage cabin chores equitably on a daily basis; assisted Leadership Staff with special programs, educational activities, and event planning. 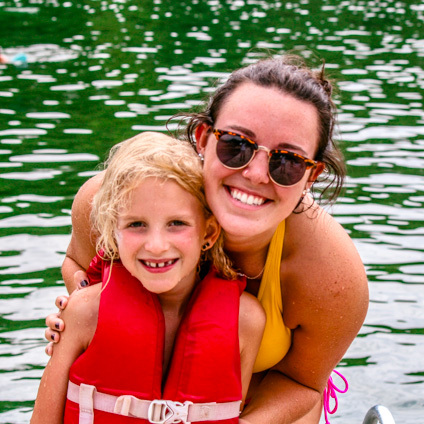 Communication –wrote letters to parents to inform them of their children’s progress in camp, including positive and negative experiences and interactions; wrote reports for supervisors; interacted with peers, supervisors, administration, and campers. Evaluation – regularly observed and documented campers’ behavior and skills development and provided feedback to children as necessary; reported evaluations to supervisors accordingly. When describing the skills you have acquired, use action verbs such as: initiated, led, engaged, planned, forecasted, identified, spearheaded, communicated, brainstormed, investigated, empathized, planned, organized, developed, etc. Above all, tailor your resume and cover letter to the job in which you are applying. When going into the education sector, discuss the cultivation of a curriculum. When pursuing a job in business, highlight the teamwork, communication, and problem solving elements of the position. For all positions, emphasize the collaboration, public speaking, and dedication that are required in being a counselor.